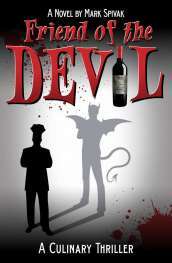 Palmaz Vineyards inherited one of the bizarre legacies of Prohibition: the ghost wineries of Napa. These were estates built during the wine boom of the late 19th century and abandoned when the consumption of alcohol became illegal. Some came roaring back (Far Niente, Ladera, Freemark Abbey), although a few never did. Palmaz Vineyards is one of those wineries. It was founded as Cedar Knoll Vineyard in 1881 by Henry Hagen, who had come to California in 1852 in search of gold and finally decided to seek it in liquid form. Hagen became one of Napa’s pioneers: his wines were served at the San Francisco Opera House, and his brandy won a medal at the 1889 Paris World’s Fair. The property boasted 450 acres of vines when he died in 1895, but those vines didn’t survive Prohibition. Cedar Knoll languished until the late 1990s when it was purchased by Julio Palmaz, a physician who invented the Palmaz Coronary Stent (possibly one of the few things better for the heart than red wine). He fell in love with Napa while completing his residency at the University of California at Davis and restored the estate along with his wife, Amalia. Today their three children are in charge of the property, which focuses on producing Cabernet Sauvignon from estate vineyards. The majority of the plantings are clustered around Mount George, west of Yountville, at elevations ranging from 400 to 1200 feet. The inviting nose of the 2012 Palmaz VineyardsNapa Cabernet ($125) exudes whiffs of anise, stewed plums, minerals and mint. It enters the mouth smoothly, displaying good acidity, a crisp texture and supple tannins. Flavors of black raspberry jam and chocolate turn a bit earthy in the mid palate, framed by a firm mineral structure. Hints of anise and mint reappear on the long finish. For all its concentration and force, this is a remarkably graceful wine, and a seamless match with steak, lamb, stews and game dishes. 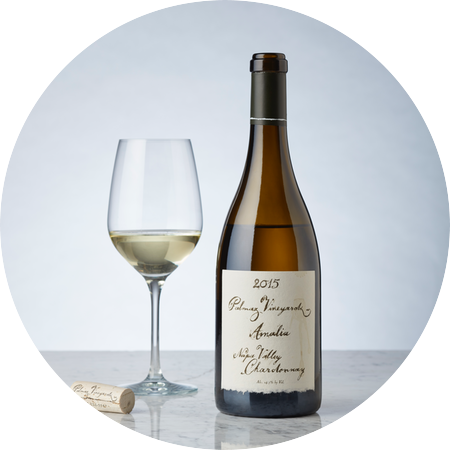 The 2014 Palmz Vineyards Louis Riesling ($55), named for Jessica Louise, the daughter-in-law of Julio Palmaz, offers whiffs of citrus, melon and candied fruits on the nose, along with a distinct mineral underpinning. In the mouth, the wine is bright, lively and bone dry, with a strong mineral backbone; hints of honeysuckle and ripe tropical fruits emerge in the mid palate. Echoes of citrus and white pepper emerge on the long finish. What to drink it with? 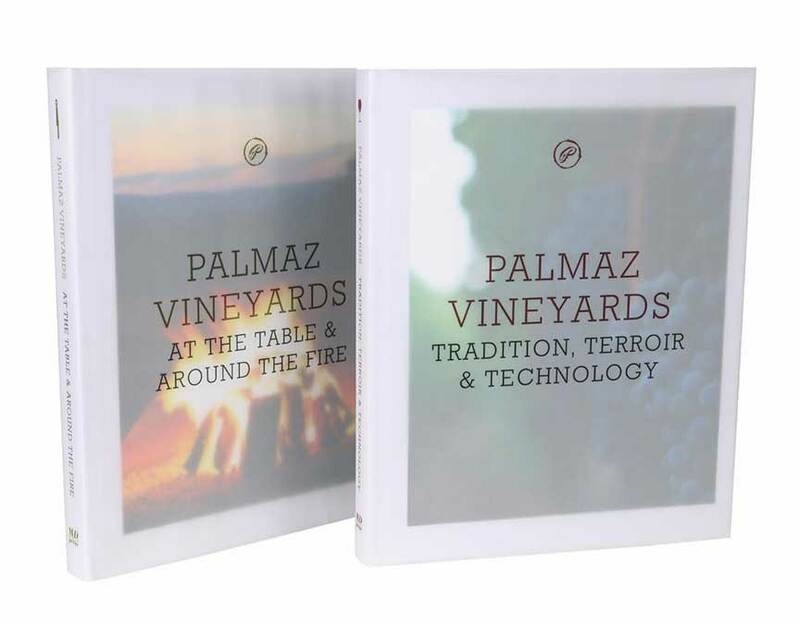 The Palmaz family has answered the question with a stunning, two-volume set of books designed to grace the most upscale coffee tables, available from Mad Dash Press for $130. Volume One (Tradition, Terroir and Technology) is a retrospective look at the history of the estate, going back to Henry Hagan and Cedar Knoll in the 19th century. Volume Two (At The Table & Around The Fire), written by daughter Florencia Palmaz, takes the set off the coffee table and places it firmly in the kitchen. Among the dishes recommended for Louise Riesling are Spicy Melon Shooters with Prosciutto Straws; Asian Pear and Humboldt Fog Goat Cheese Canapés; Smoked Trout Lollipops, and Southwest Chicken Salad on Apple Slices. The recipes are clear and easy to follow, the photography is beautiful, and the dishes are close to irresistible. “Without bread and wine,” runs a Latin proverb quoted at the beginning of the book, “love goes hungry.” Sage advice.